Save the Rhinos! Save the Elephants! Save the humans?! It seems strange to be connecting our own fate to that of wildlife but new research suggests that protecting these large animals may also be, in effect, protecting our own health. As populations of large wildlife decline around the world, scientists are concerned about the potential effects this will have not only on the smaller animals they leave behind, but also the diseases they carry. Dr. Hillary Young, former Smithsonian Post-doctoral Fellow and now Assistant Professor at the University of California, Santa Barbara, and Dr. Kris Helgen, Curator of Mammals from the Smithsonian’s Museum of Natural History, have provided new experimental evidence showing that the risk of rodent-borne disease doubles in landscapes that have lost these large animals. This experimental study used 24 acres of savanna in East Africa that had been fenced off to keep out large wildlife species, such as elephants, giraffes, lions and zebras. 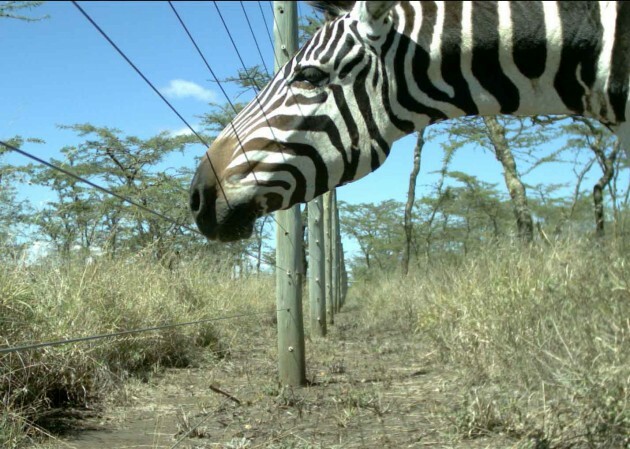 The exclusion of these large animals, which has been ongoing for nearly 15 years at Mpala Research Centre, a research station in Kenya, provided the scientists a perfect opportunity to observe the effects of large animals on the remaining rodent population and the number of infected fleas they carry. The results of the study was published today, April 28, in the Proceedings of the National Academy of Sciences Early Online Edition. Smithsonian Science asks Young and Helgen more on how a reduction in large wildlife can impact human health. Q. Why were you interested in looking at the impact of removing large animals on disease risk? Young: We know that large animals have strong impacts on many parts of their ecosystems including plant growth rates, nutrient cycling and the other animals in their community. So it was intuitive to imagine that large wildlife might also have an impact on disease risk in a landscape. Helgen: We understand some of the most important infectious diseases in human history came to us from animals, in many cases from wildlife. We also know that certain animals, like rodents, have been more important than others in spreading diseases to humanity. Knowing that rodents have been found to increase in abundance in the past once large animals have been removed from a system, it makes it imperative for us to understand how disease fits into this disturbance relationship. Knowing how these relationships work could allow us to predict disease outcomes and develop more effective management goals. Q: What disease were you looking at and how does the disease risk double when you remove large wildlife? Young: We focused on a group of bacteria called Bartonella that is often carried by the fleas found on rodents such as mice, rats and gerbils. When transmitted to humans some of these bacteria can cause a sickness called Bartonellosis, which can include symptoms such as memory loss, spleen and liver damage, and heart endocrinosis. We chose to study this particular zoonotic disease because it is very common in this African system and is also found worldwide. We trapped rodents over a period of three years both in areas where large animals still roamed and where they had been excluded. The doubling in disease risk from Bartonella in a landscape with no large wildlife is very straightforward. We found that the number of rodents doubled in areas where there were no large animals and thus the number of infected fleas in those areas had also doubled. 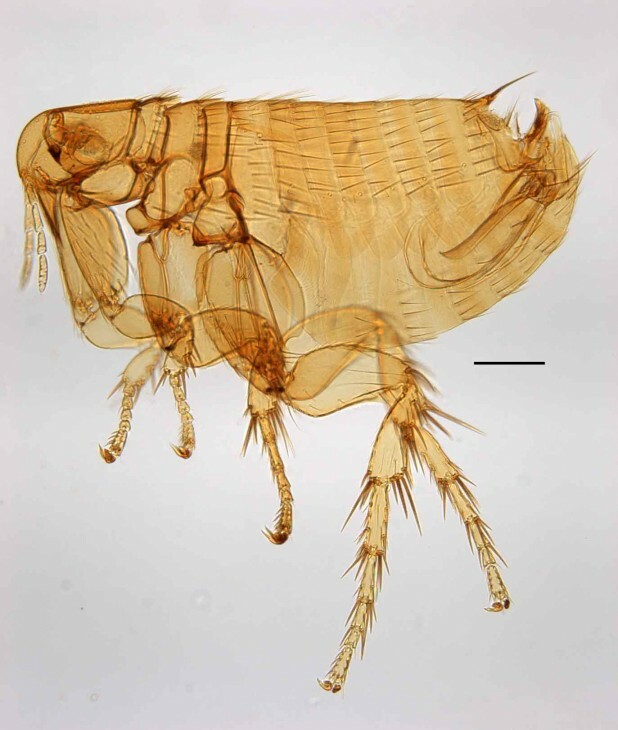 The proportion of infected fleas on each rodent and the percentage of rodents harboring those fleas remained the same between areas with or without large animals, just the overall abundance of the two doubled in areas without large wildlife. So with more rodents and thus more infected fleas existing in a landscape without large animals, the risk of human disease also increases. Q: But why do the rodents increase in number when we take away the large animals like elephants and impala? Helgen: All these large mammals have outsized effects on the environment in ways you can hardly imagine. What they eat, they way they move, and what they leave behind have huge effects on the soil, the vegetation, and other animals. So when they are not there the rodent population increases because there is more food and other resources for them. Understanding the relationships between the largest mammals, smaller species and their environment can not only explain these changes but also can help us predict what might happen to the infectious disease dynamics in these systems. Q: How are the results from this study different from what we previously knew about disease risk and environmental disturbance? Young: Apart from the number of rodents and infected fleas doubling, our other key finding is that the diversity of the rodent population did not change between areas with or without large wildlife. 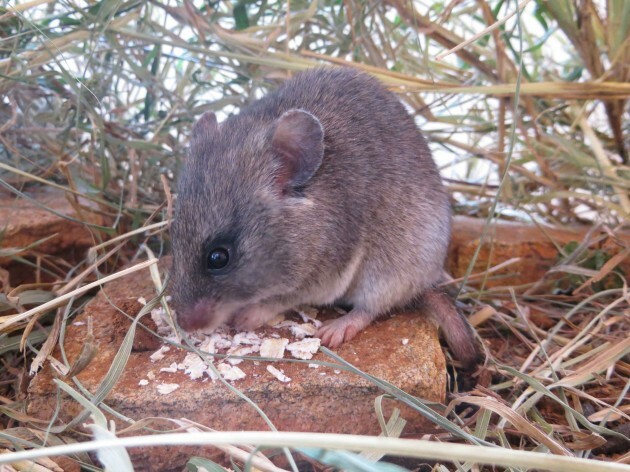 In the past, many studies have described complex relationships between the risk of various diseases and changes in species diversity and richness in a landscape, not just with rodents but also with a whole range of animals. Our experimental study shows, at least for Bartonella, that disease can operate by a simple abundance pathway. Helgen: We would not have been able to realize this without the range of rodent and flea experts who were a part of this study. It wasn’t just a matter of catching rodents and automatically knowing what species we had caught; we really had to work hard at identifying not only the rodent species, through close comparisons using museum specimens and genetic analysis, but flea species as well. 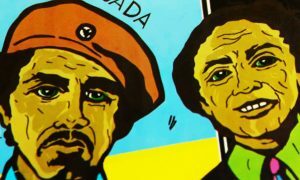 The result was a really detailed examination of how these communities work, which helped us to decipher some of these patterns and relationships. It speaks to the importance of working as a team to combine field, museum, and laboratory approaches. Q: How can human actions influence disease risk now that we know this? Young: This study suggests that wildlife conservation could be a management strategy to reduce the risk of this group of diseases. In this case, conservation actions that we normally would use primarily to protect large wildlife species, or to reduce human-wildlife conflict, will likely not only have benefits for wildlife, ecotourism and the environment, but might also have benefits to human health. We think this phenomenon is unlikely to be restricted just to Africa; rodent-borne diseases are worldwide and are in America too. We also have rodent-borne diseases, such as hantavirus and Lyme disease in the United States. We just don’t often don’t think about rodent-borne diseases as being in our backyard. Even for the best studied of these diseases, we don’t yet completely understand the pathways by which they operate, but research like this may help us understand how the disturbance we humans cause in an ecosystem can affect these diseases. Helgen: The scientific community more and more has come to appreciate that you cannot separate concepts of ecosystem health, wildlife health, and human health from each other. We now understand, as I think is intuitive for most people, that these things are related. We really do think we have found a general and very powerful explanation for how disease risk in natural environments can work. Our next task is to leave the controlled experimental design and see if this pattern remains in the real world. This is what we are doing now by studying these relationships in landscapes people are using, and seeing if human activities like agriculture and other changes in land use also affect this pattern—not only with Bartonella, but with a whole range of diseases.